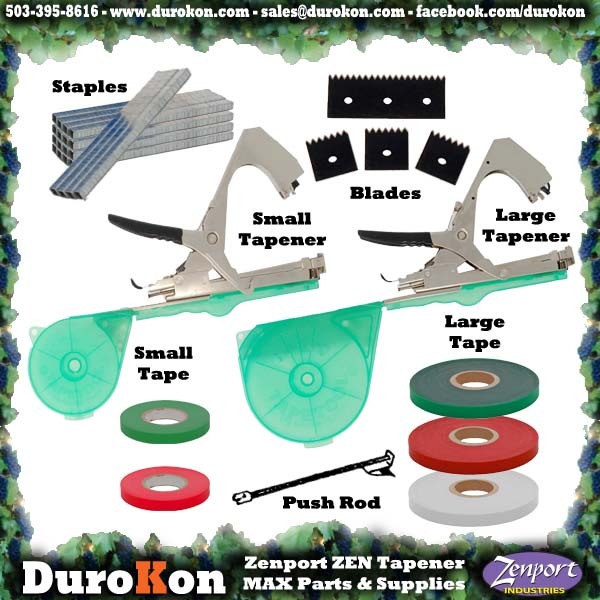 Zenport Tapener ZL919 Large No Scrap Vine Tying Tape tool, MAX HTB2N Compatible. Whether your task is in a nursery securing high value standards, or in a vineyard ensuring security for valuable vines and trees, Zenport tapener guns and accessories give plants that desirable uniform appearance. One tapener does the work of three people tying by hand!